Campaign 2016 • Some question whether top-of-the-ticket turnoff would hurt down-ballot candidates from the same party. Steve Griffin | Tribune file photo Could Rep. Mia Love, R-Utah, be hurt by having Donald Trump at the top of the Republican tick Gene J. Puskar | AP file photo Republican presidential candidate, Donald Trump, at Youngstown-Warren Regional Airport in Vienna, O Steve Griffin | Tribune file photo Utah Democratic Chairman Peter Corroon points to Doug Owens as a candidate that could be helpe Jim Cole | AP file photo Donald Trump has a Mormon problem that is most pronounced in Utah but extends to other Western states tha Rainier Ehrhardt | AP file photo Donald Trump speaks at the Freedom Summit in Greenville, S.C. last year. 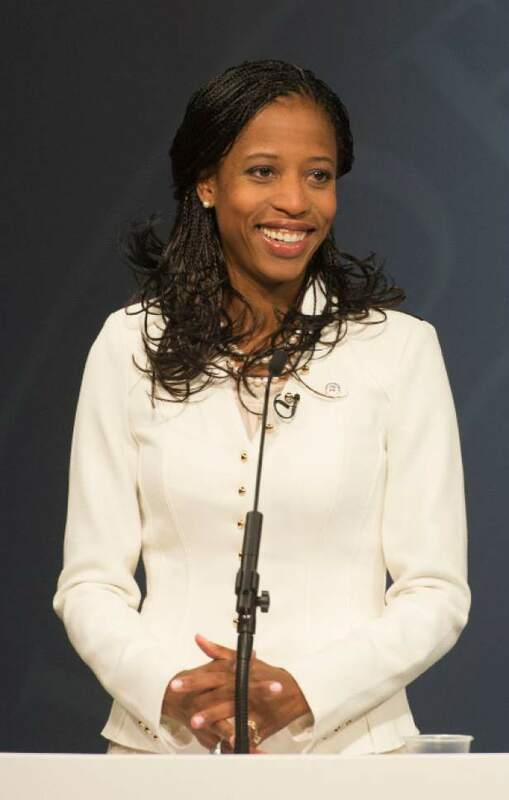 Steve Griffin | Tribune file photo Could Rep. Mia Love, R-Utah, be hurt by having Donald Trump at the top of the Republican ticket in November? Her campaign doubts such an effect and believes Utah Democrats would have their own problems from Hillary Clinton at the top of their candidate slate. Gene J. Puskar | AP file photo Republican presidential candidate, Donald Trump, at Youngstown-Warren Regional Airport in Vienna, Ohio.Trump at present has no campaign events scheduled in Utah. 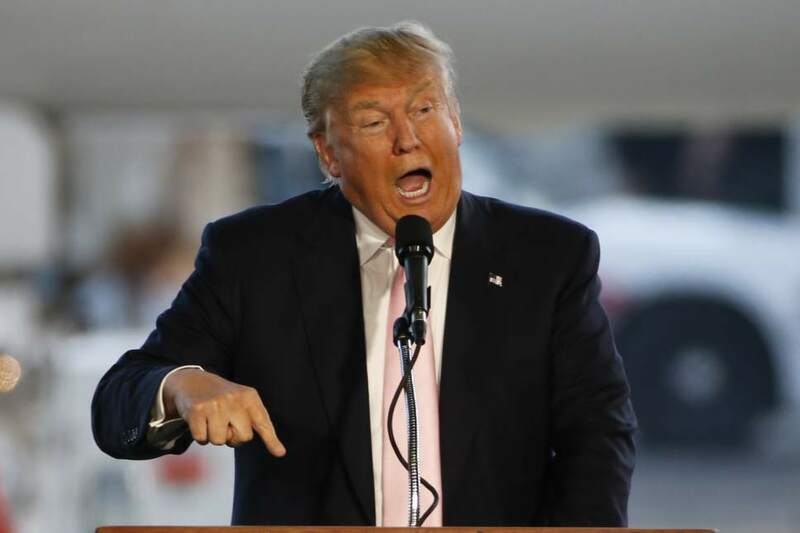 Steve Griffin | Tribune file photo Utah Democratic Chairman Peter Corroon points to Doug Owens as a candidate that could be helped by a "Trump effect" of having Donald Trump on the ballot in November. But Owens' campaign says they're not convinced that the Democrat would be buoyed by Trump on the top of the Republican ticket. Jim Cole | AP file photo Donald Trump has a Mormon problem that is most pronounced in Utah but extends to other Western states that could make a difference in the November election. Rainier Ehrhardt | AP file photo Donald Trump speaks at the Freedom Summit in Greenville, S.C. last year. 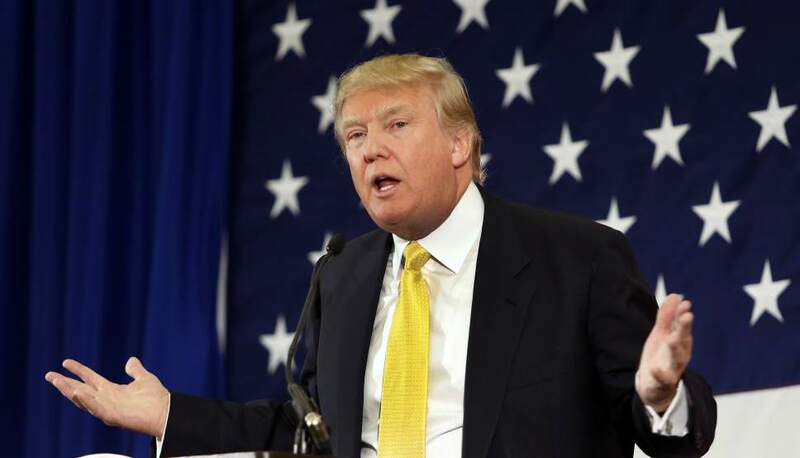 For many Utah Democrats, it would be a dream to see Donald Trump as the Republican presidential nominee, believing he would turn off so many conservative voters that they may be able to snag a few wins in local races, possibly even unseat U.S. Rep. Mia Love. Peter Corroon, the party&apos;s chairman, even joked that he would have liked to attend the Republican caucus Tuesday to vote for the billionaire businessman, who has a big lead in the national GOP contest. "I truly believe Donald Trump is the most accurate reflection of the Republican Party today and having him as the nominee would be a wake-up call for America and for Utah Republicans that this is what your party has become," Corroon said. "It is time for you to start looking across the aisle at some of the great candidates we have here in Utah." He points to Doug Owens, the conservative Democrat who came about 5,000 votes shy of beating Love in 2014, and a handful of state legislative races that narrowly went to the Republicans as potential pickups. Even Utah Republican Party Chairman James Evans is concerned. His team is preparing "Plan T."
"It is the plan to ensure that Utah voters come out to vote if we have Trump as the nominee," Evans said, "because a protest by not voting is not an option." Evans said the state GOP has a strong history of "get-out-the-vote" efforts, noting three state legislative seats the party narrowly won in 2014, the same three Corroon believes Trump could help them reclaim. But the impact Trump could have on down-ballot races in Utah isn&apos;t clear, according to the chief strategists for Owens and Love. Sure, a Deseret News survey shows that Democrat candidates Hillary Clinton and Bernie Sanders could beat Trump in Utah, but they note a poll is just a snapshot in time and so much can happen between now and November. "We are not going to adjust our course based on these type of outside things," said Taylor Morgan with the Owens&apos; campaign. "We can&apos;t influence them. ... It is so uncertain." So far, no state has given Trump a less-hospitable reception than Utah. In Tuesday&apos;s caucus results, he came in third  behind Texas Sen. Ted Cruz and Ohio Gov. John Kasich  with just 14 percent of the vote. Mitt Romney, a beloved figure in the state and the 2012 Republican nominee, has said he won&apos;t vote for Trump under any circumstances. Republican readers of The Salt Lake Tribune overwhelmingly agreed with him, saying they may vote for a third-party candidate or even a Democrat. The idea is that GOP voters wouldn&apos;t turn out for Trump, giving Utah Democrats a rare electoral advantage. Republicans face the same concern in other states. Political handicappers are warning of a Trump effect that could cause the GOP to lose the Senate and shrink its House majority. Senate Majority Leader Mitch McConnell, R-Ky., has reportedly told some Senate Republicans that he&apos;d sign off on anti-Trump ad campaigns if it would help the party win elections. Morgan, with the Owens campaign, isn&apos;t sure that "the Trump effect" will materialize, because throughout the nation Trump has brought in new, disaffected voters and that may happen here. He expects turnout in Salt Lake County, in particular, to be strong because the count is moving to mail-in ballots, making it easier for less enthusiastic voters to participate. He also noted the state has a history of crossover voters, such as the Republicans in 2012 who voted for Romney, at the top of the ticket, but then voted for former Rep. Jim Matheson, D-Utah, in large enough numbers to allow him to defeat Love in her first congressional bid. Love&apos;s strategist, Dave Hansen, also pointed to Matheson as an example that a presidential candidate doesn&apos;t necessarily change the outcome of other races. 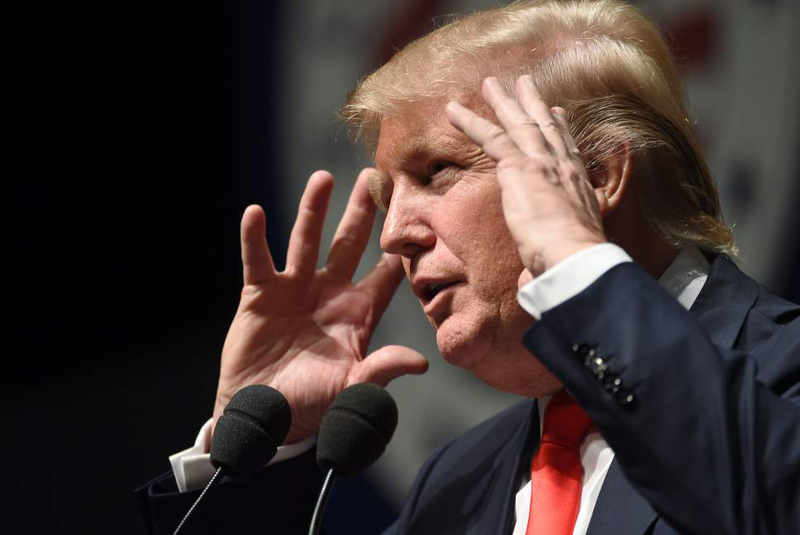 He believes the Republican presidential candidate will win in Utah, even if it is Trump. He also argues that Sen. Mike Lee&apos;s re-election campaign will offer some cover to other Republicans. "[Lee] will run hard and he will help the rest of the ticket," Hansen said. "There is no question." He suggests that Owens could face his own issues if Hillary Clinton, the Democratic front-runner, is on the ballot. 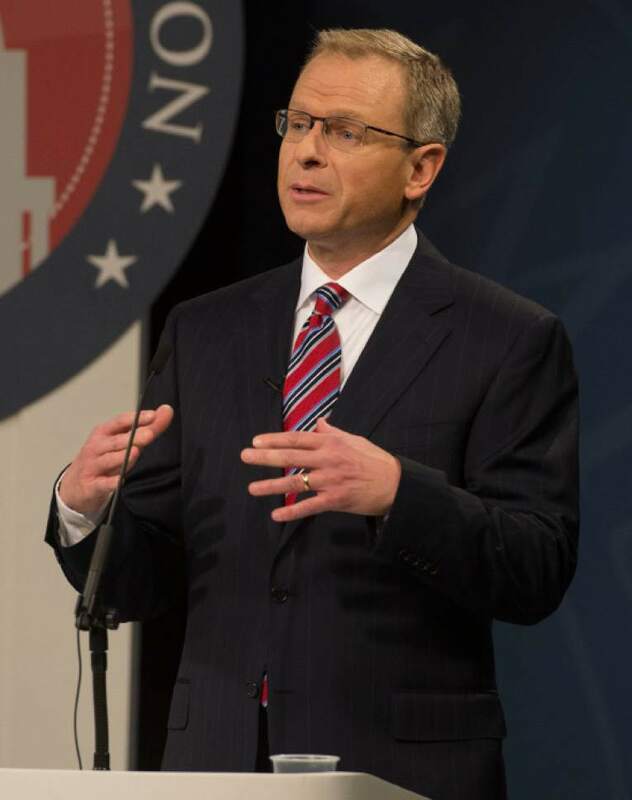 Hansen pointed out that even with Trump&apos;s dismal showing, more Utahns voted for the GOP front-runner Tuesday than for Clinton. "He has a bigger Clinton problem," Hansen said, "than we would have with Trump or Cruz or anybody." Morgan dismissed that, saying "Doug is his own candidate; he&apos;s not a party guy." And yet his party label is his biggest obstacle. "Being a Democrat in Utah is already hard enough, at least in our district, to make sure they know who Doug is and what he represents," said Morgan. "The top of the ticket is not the challenge."